Text Message Server incorporates comprehensively into MS Outlook and Exchange, Lotus Notes, GroupWise including any other SMTP email system. Users typically create and send SMS messages in the same vein, as they would an email. 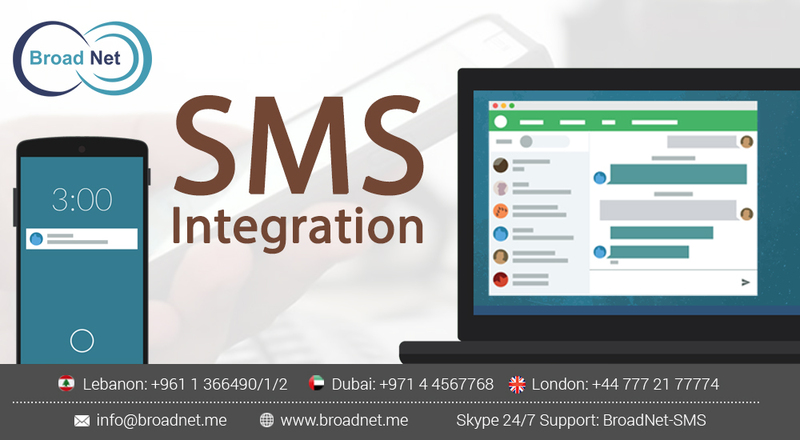 Incoming SMS Services messages can be routed to the specific email accounts of an individual or target groups and turn up in the email ‘inbox’. MS Outlook users are also given the option of using a ‘plug-in’ to browse the Text Message Server contact database (MS Access or SQL) and integrate names to the SMS recipient list. Create and send SMS messages to all selected target individuals/groups in apps, for example Sales Logix and other CRM solutions. When it comes to integrating SMS competencies into your WebPages is trouble-free, via a standard web form interface. Also, we at BroadNet will furnish you with the code. For example, we utilize Text Message Server on a Sharepoint Server interface, to enable staff to broadcast SMS messages unswervingly from a page on the Extranet. 'Print’ to SMS from any desktop application or XML feed, with multi-line competence to enable sending multiple messages from a single document or from a Database. Set ‘back-end’ systems to alert administrators via an SMS when there is an issue – instant notification, in the lack of email or other computer systems, which may be ‘down’ as well.